Honda, the Japanese famous automobile maker has decided to recall its vehicles that are already on the road due to safety issue. 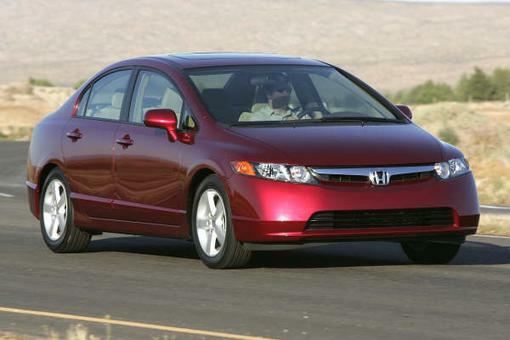 The massive recall affects 182,756 of its Honda Civic Sedans manufactured since year 2006. The problem which involves the O-ring seal leakage is said to be serious as it could cause damage to the wheel bearing and eventually post danger to the drivers while on the road. Further investigation revealed that the O-ring seal was the culprit that caused the leakage and allowed water to flow into the wheel bearing and that could cause serious damage to it. From time to time, the bearing will become loose and fail to operate properly and consequently the wheel may fall off which put the drivers into dangerous situation. Honda is famous for its quality and reliability vehicles which seldom incur serious problem to the consumer. And it has managed to gain good reputation even in US and Europe market where car safety is one of the main criteria. The announcement seems to have earned him a good credit regardless of poor manufacturing quality not been detected in early stage. At least they are serious in post sales quality monitoring and taking precaution measures before any serious incident actually occurs. Honda Civic car owners are urged to contact the nearest service center for the inspection and they will get free labor and parts replacement if they are under the affected batch.